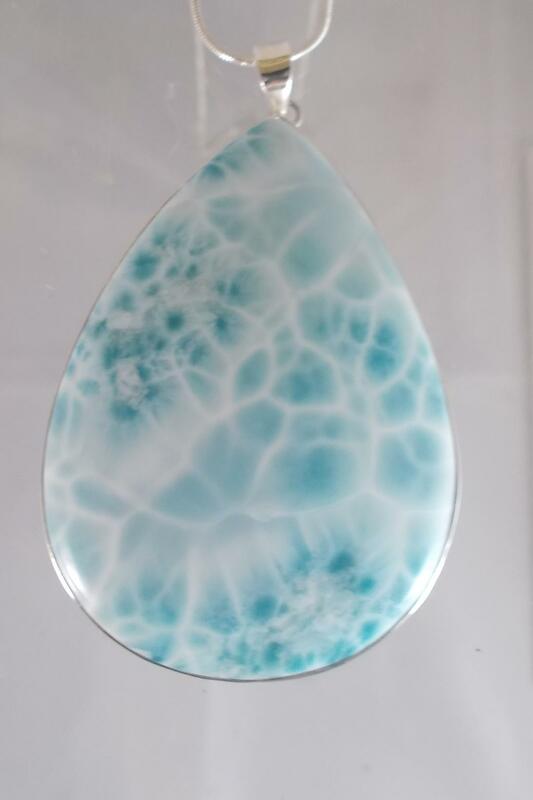 This very large AAAA Larimar Pendant is a statement piece, With its exquisite colour and marking it will make someone very happy. 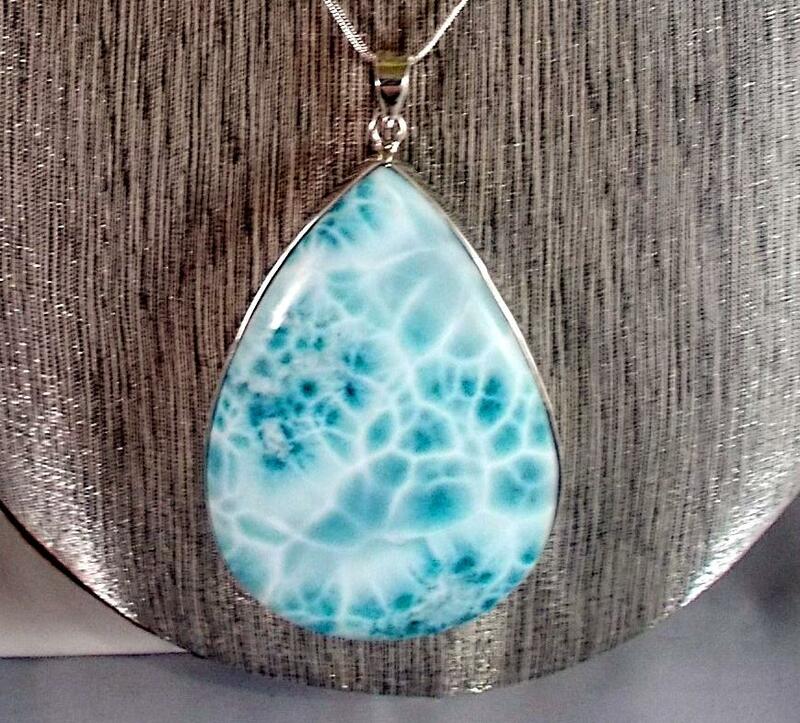 Larimar is a "Stone for Earth healing" that brings the healing energies of peace and love to the World. It aids sales in business to bring you, customers. It helps to remove self-constraints imposed on oneself. Larimar provides truth, helps you to take responsibility for guilt and move on. Promotes clarity, wisdom, eternal love and emotional support when worn. Useful in divorce, stressful or troubled relationships to enhance friendship and peace. Larimar aids healing in opening the acupressure and acupuncture meridians of the feet. Good for hair and cartilage in joints.